The little After Eight chocolates were eaten as soon as I’d taken the photo! I was happy to see Jaffa Cakes because I love them and hadn’t had any in ages. I was nice and only ate two of them, saving the third for Jan. The next item took me right back to my student days! They became my oh-so-healthy lunch on Friday. The Wispa Gold hot chocolate was very yummy! I may have to buy more when I’m next in the UK. I can’t even remember the last time I had Angel Delight! 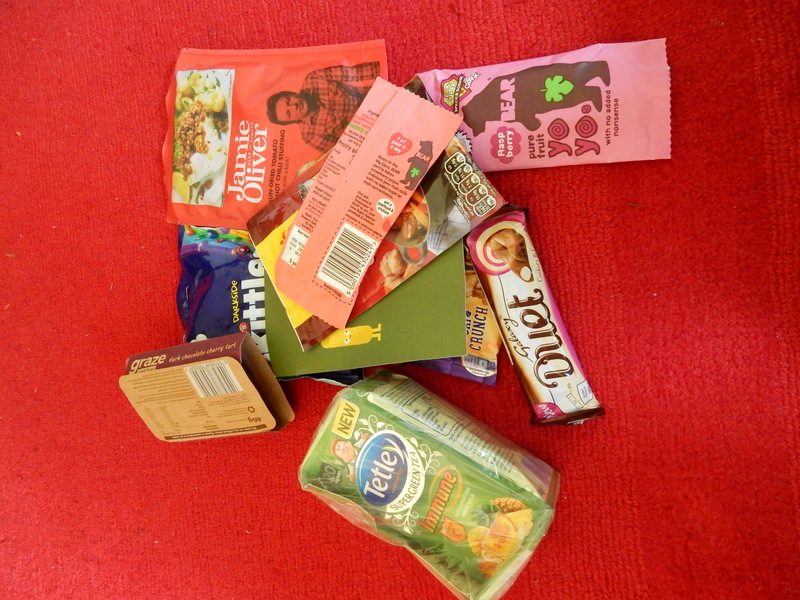 Not the healthiest of parcels, but all very yummy. 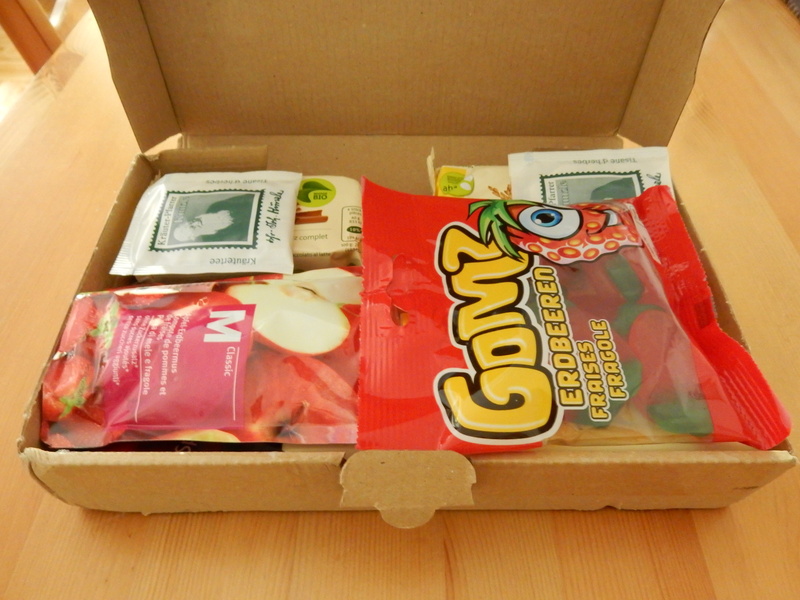 If you’re in Europe, you can find out all about Foodie Penpals and sign up here. You can see more examples of parcels that people have received in the Facebook group. I can’t wait to see what my May parcel brings! 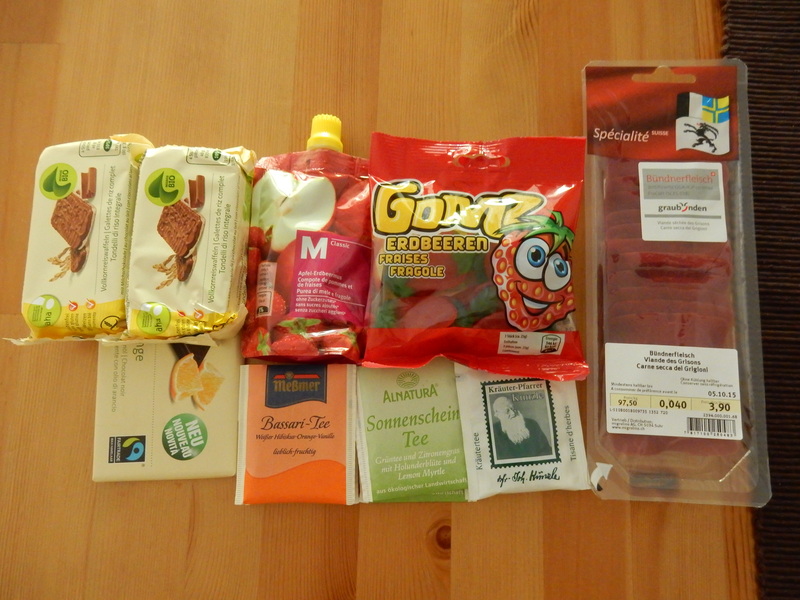 My foodie penpals package for September is heeere! 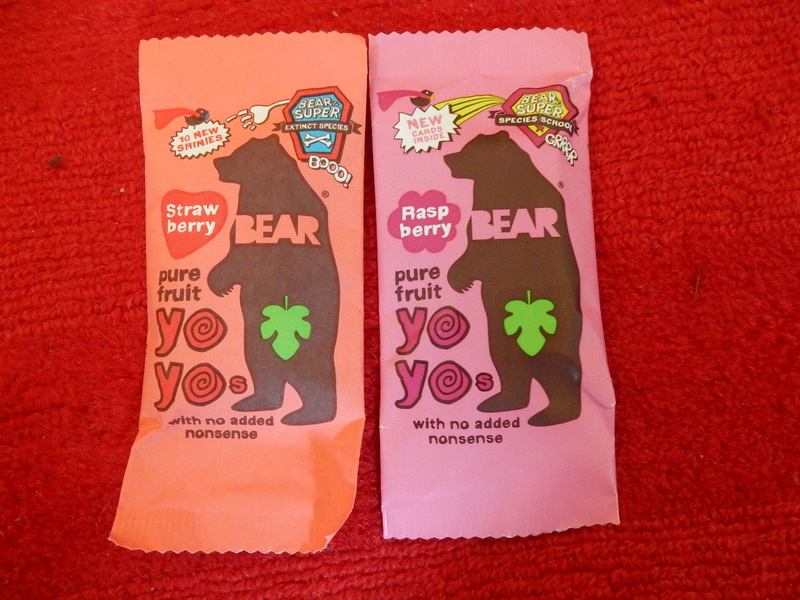 A strawberry bear and a raspberry bear. I’m not 100% sure what these are but I can’t wait to find out! This is really cool! 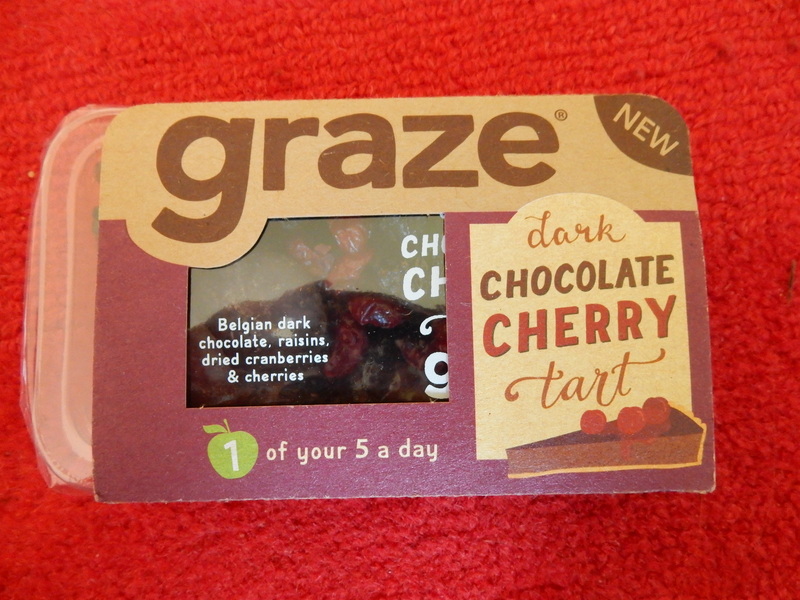 Chocolate pieces, raisins, dried cranberries and cherries in a little pack. Immediately after I finished taking the photos I ripped this open and devoured it. It was delicious – and it counts as one of my five a day! The savoury stuff. 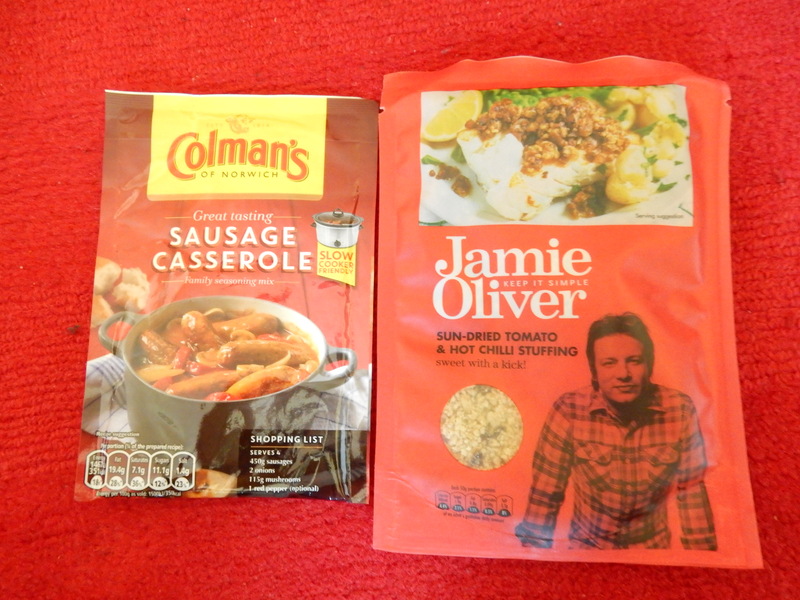 A sausage casserole mixture and some Jamie Oliver stuffing mix that sounds amazing! 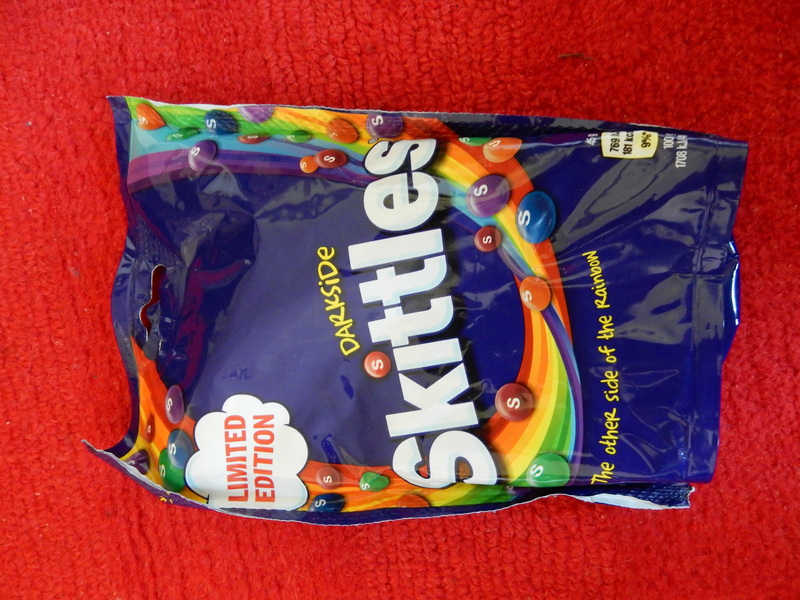 “The dark side of Skittles”. I’m very intrigued by these. 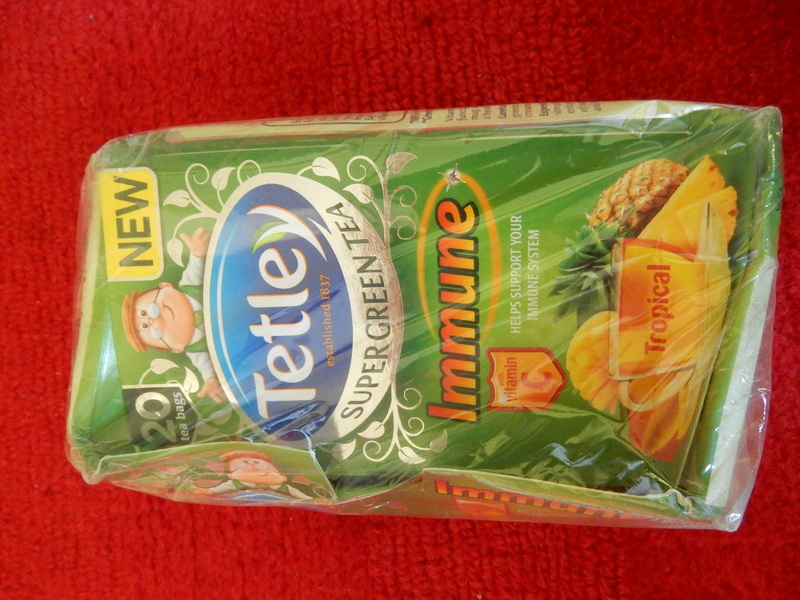 Finally, some fruity green tea that says it’s good for my immune system. Charlotte said she included this so I wouldn’t catch another bad cold – how thoughtful is that? 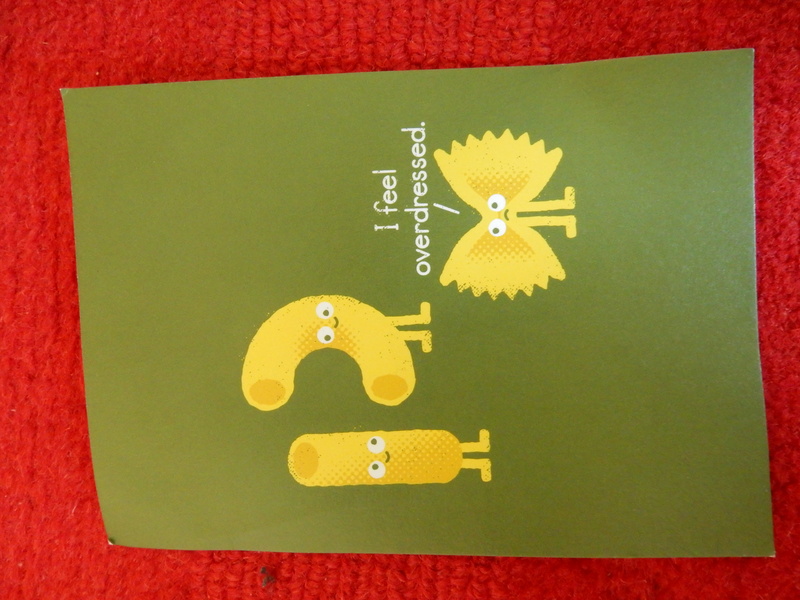 She also sent me this cute pasta postcard (the rules say you must include something written with the food – it is supposed to be “penpals” after all!). If you want to take part in Foodie Penpals, you can read the rules and sign up here. (This is the European version, for those of you in the US/Canada, the original Foodie Penpals on The Lean Green Bean is here.). 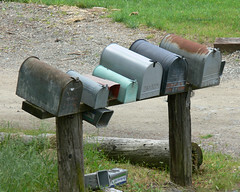 Matches go out on the 5th of each month and the deadline for sending packages is the 20th. It’s a lot of fun and if you do decide to sign up I promise you won’t regret it! 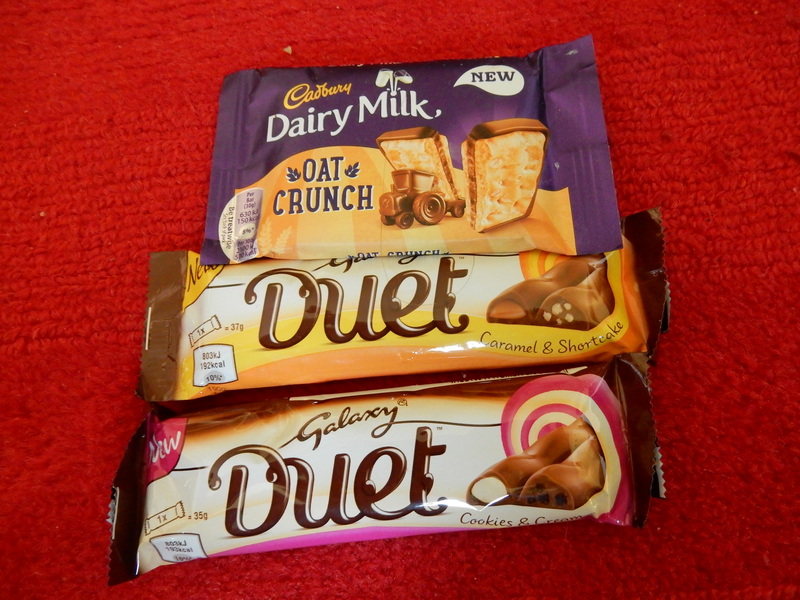 … or what happens when you allow me to shop at Tescos. This is just a small stash, because there wasn’t much room and we will be in England at the end of July anyway. Baking powder that actually works! !